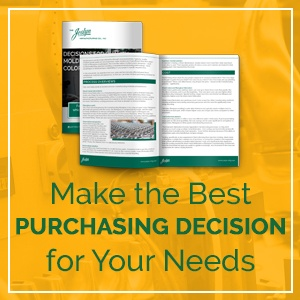 Joslyn Manufacturing produces thermoformed plastic parts for original equipment manufacturers (OEMs), point-of-purchase (POP) displays and more. For more than 70 years, we have developed reliable, standardized procedures to ensure top-quality plastic products. Our established methods are proven, whether you need to produce a traditional item or something cutting-edge. You Envision. You conceive the idea, and Joslyn helps you refine it. Discover the best way to bring your vision to life, within your cost and time constraints. We Create. We build your products by vacuum forming or pressure forming plastic sheet materials. 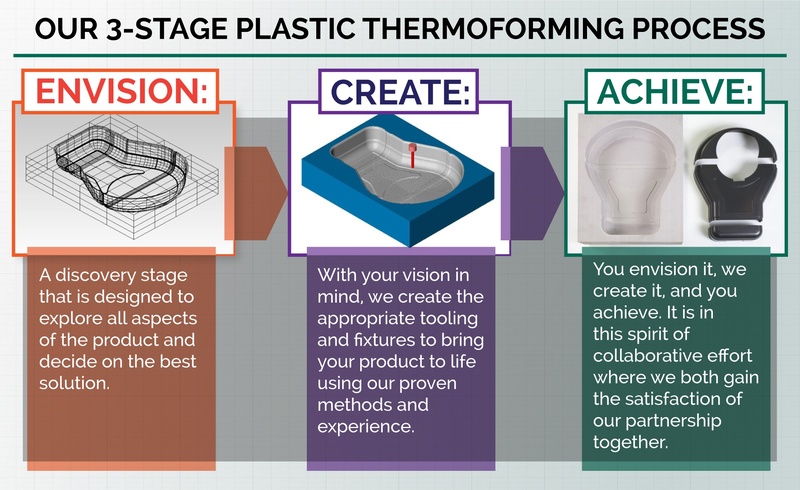 Our in-house thermoform tooling ensures the outcomes are to spec. And our trimming and secondary operations finalize your products so they are ready to ship. You Achieve. Quality thermoformed products are delivered on time and on budget. Inventory management programs keep your supply chain running smoothly.